Lucille Clifton won't sit still. At least not in editions of The Norton. 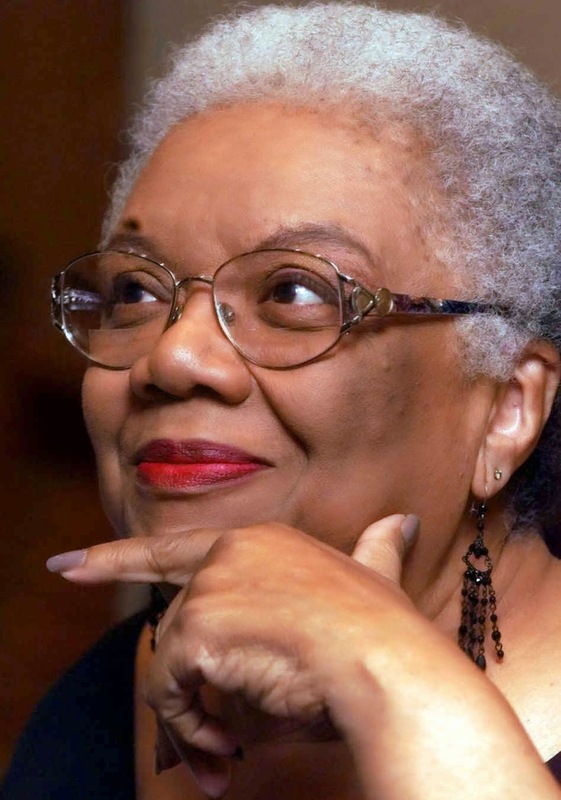 In the first edition of The Norton Anthology of African American literature (1997), Lucille Clifton was presented in the "Literature Since 1970" section. In the second edition of The Norton (2003), Clifton was positioned in "The Black Arts Era, 1960-1975" section. And now in the 2014 edition, she's presented in "The Contemporary Period." Clifton (1936 - 2010) published her first volume of poetry in 1969, which explains why she is rightly viewed as part of the Black Arts era by some. She also published works well beyond that period, so did most Black Arts figures. One possible reason that editors chose to place Clifton outside of black arts was to draw a harder line between black men associated with black arts and black women presumed to be non-affiliated with the movement. Toni Morrison and Maya Angelou, for example, are included in the "Contemporary Period," even though they began publishing during the period designated Black Arts. In the first edition of The Norton, Toni Cade Bambara, Ishmael Reed, Michael Harper, June Jordan, and Audre Lorde appeared in the "Literature Since 1970" section, but in the second and third editions, they appeared in the Black Arts section. Apparently, the affiliation of Black Arts and non-Black Arts carries important consequences. We get a sense of that importance based on the shifting places of Clifton in editions of The Norton.